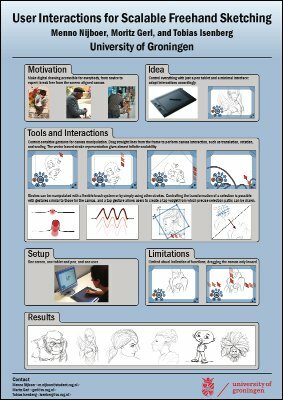 In this paper, we explore a minimalistic gesture-based interface for fluid freehand concept sketching with vector graphics. Our approach leverages the advantages of both the GUI and gestural interface paradigms. 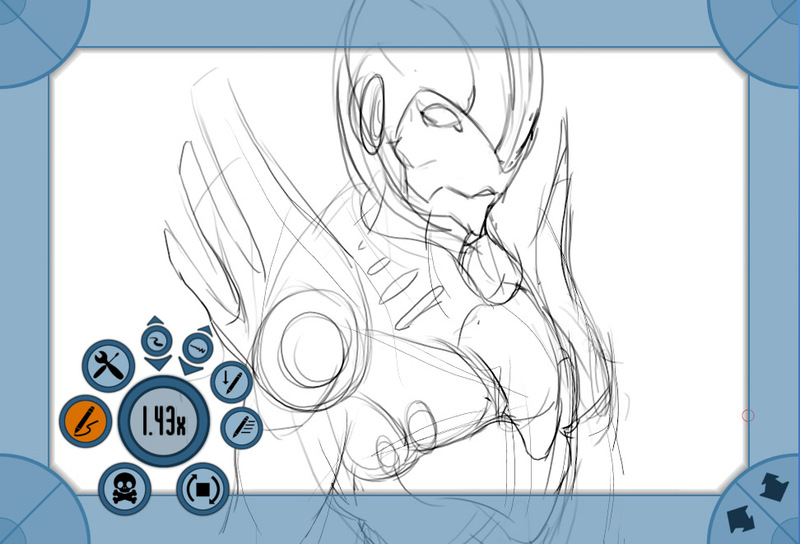 We describe how to use frame gestures to control rotation, translation, and scale of the drawing canvas and of stroke selections. Based on an implementation of this concept we evaluate our tool with both novices and experts, and report on both its benefits and drawbacks. 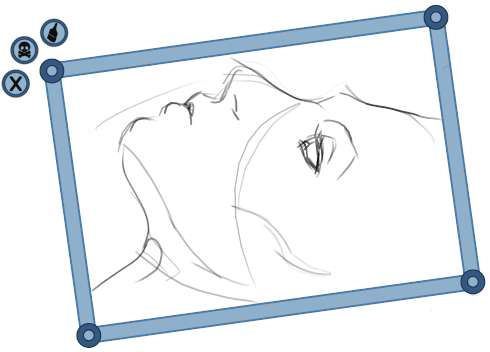 You can download a demo of the sketching tool (for Win32, 7.6MB) and try it out for yourself. 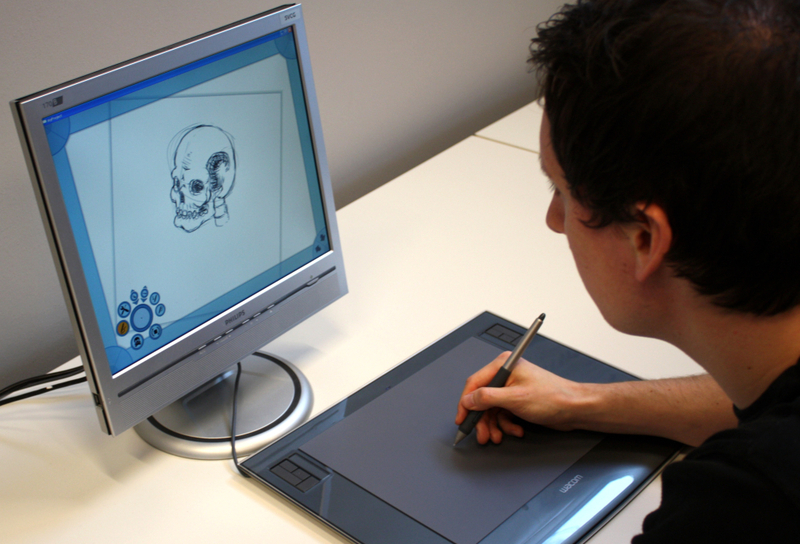 It works best when used with a Wacom tablet, but also supports interaction using a Smart Technologies DViT. Download the video as AVI-MPEG4 (50MB) or watch it on YouTube. This general idea of using the frame for navigation control was later used by us for the exploration of 3D scientific visualization spaces with 7DOF, see the page on this paper as well.